The famed explorer is taking on arguably his most grueling challenge yet - a 56-mile run in the 50-degree heat of the Moroccan desert. 71-year-old explorer is aiming to become the oldest Briton to complete the Marathon des Sables to raise money for charity. 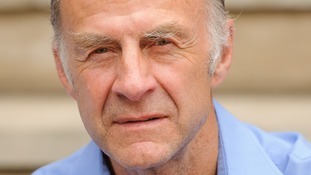 Sir Ranulph Fiennes says he has been left "frustrated" at being forced to pull out of an Antarctica expedition because of frostbite. The adventurer was injured after a fall at a base camp and developed frostbite after taking off his outer gloves in temperatures of -33 celsius. Speaking after arriving back in the UK, Fiennes explained how the expedition had been five years in the planning. Prince Charles has given his royal seal of approval to the Ice Team before they embarked upon their mission to walk across Antarctica during the coldest time of the year. 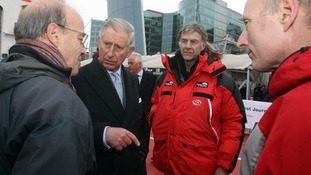 The Prince of Wales is the patron of the Antarctic Winter Crossing Expedition 2012. 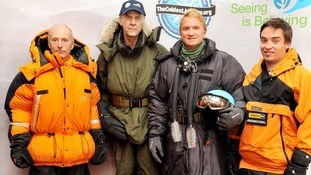 The six man team who will attempt to walk across Antartica over the next six months have set sail on their ship the SA Agulhas. Brian Newham, Sir Ranulph Fiennes, Ian Prickett, Spencer Swirl, Richmond Dykes and Dr Robert Lambert hope to raise more than six million pounds for charity. 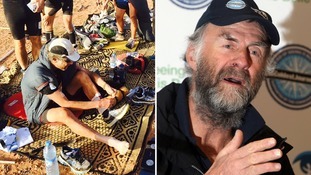 The world's greatest living explorer, Sir Ranulph Fiennes, is receiving a royal send off from Prince Charles as he begins his latest record breaking challenge. He's attempting to become the first person to cross the Antarctic on foot during winter. The expedition will take place in temperatures as low as -70C, much of it in total darkness. Our Science Editor Lawrence McGinty has been to meet him. 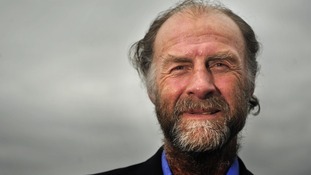 Sir Ranulph and his five-man team will cross the continent during winter over a six-month period. Going with them will be two machines to help carry their equipment.